We are a welcoming congregation that strives to provide responsive, inclusive, and engaging programming for kids ages 6 months – 18 years. Our foremost goal is to empower students to find their own voices and develop their own power to make change. Visit us! New children are always welcome. Dress your kids for messy projects and spending time outside, so they can join in all the fun. Typically, children begin the morning in the Meeting Room with their families and move to kids’ activities after a story for all ages. At any time, you are welcome to join your children in activities downstairs. Your children are welcome to be with you in the Meeting Room (upstairs) if that’s more comfortable for your family. We have activity bags at the entrance to the Meeting Room for anybody who wants to keep their hands busy. 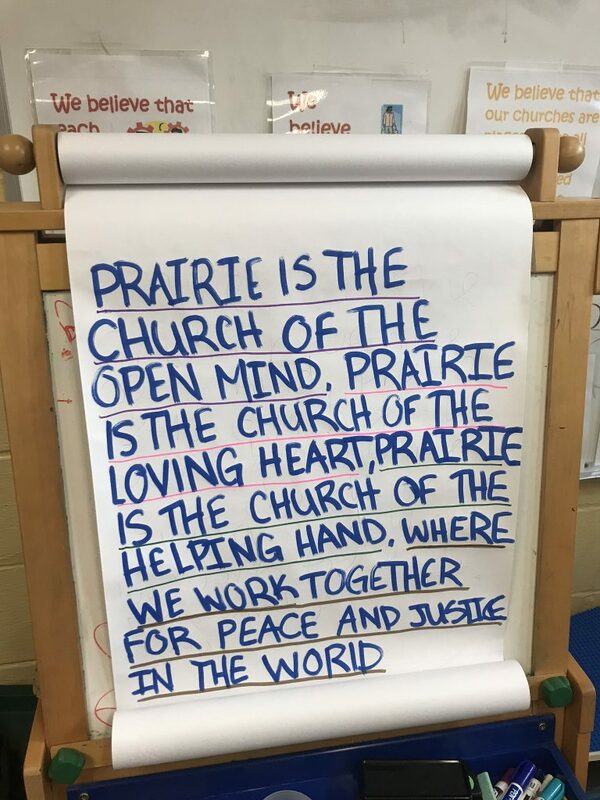 Holly Tellander has been Prairie’s Director of Religious Education (DRE) since 2014. She has a BA in Elementary Education and a MA in Multicultural and Bilingual Education, with 15 years of public school classroom experience. She is also an RYT-200 registered yoga & mindfulness instructor. 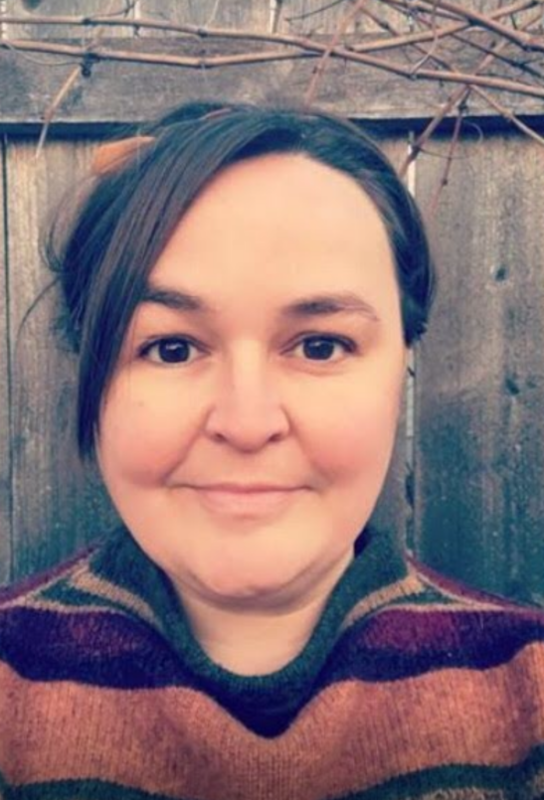 Holly believes that education should be responsive and student-centered and strives to create programming at Prairie that is progressive and inclusive. You can reach Holly at dre@uuprairie.org. Please see our calendar below for upcoming RE events, and check our Activities and Annual Events pages for lots more activities where kids are welcomed and involved.